"Witnesses claimed they heard the sound of firecrackers going off and later found the boy lying unconscious," the officer said. 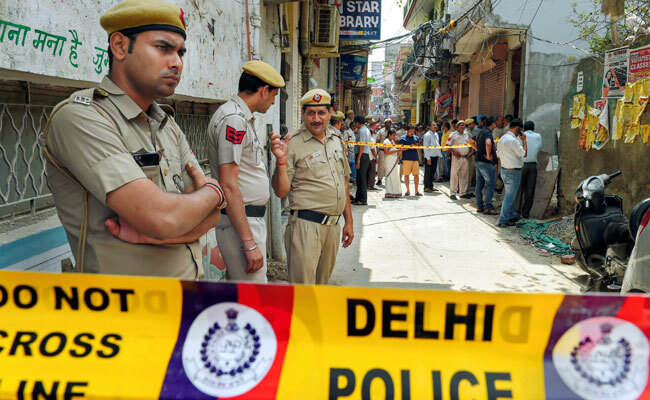 An eight-year-old boy died after he was shot during a New Year's eve celebration in northeast Delhi's Usmanpur area, police said today. The incident took place at around 11 pm and police were informed by hospital authorities when the boy was taken there. The initial investigation revealed that the boy was shot during New Year's eve celebrations organised near his residence, a senior police officer said. The boy was declared brought dead at a nearby hospital, the police officer added. The officer also said that the exact cause of the death will be confirmed after the forensic report is out. Several people have been questioned and examined by the police in connection with the incident. In another incident, a 12-year-old boy was shot at during New Year's eve celebrations in northeast Delhi's Welcome area, police said. The boy is undergoing treatment at a nearby hospital and is out of danger, the officer added. Investigations revealed that the incident took place when a group of people including the boy's neighbours were celebrating new year on the terrace of their home. An unidentified person fired at him, the officer said.